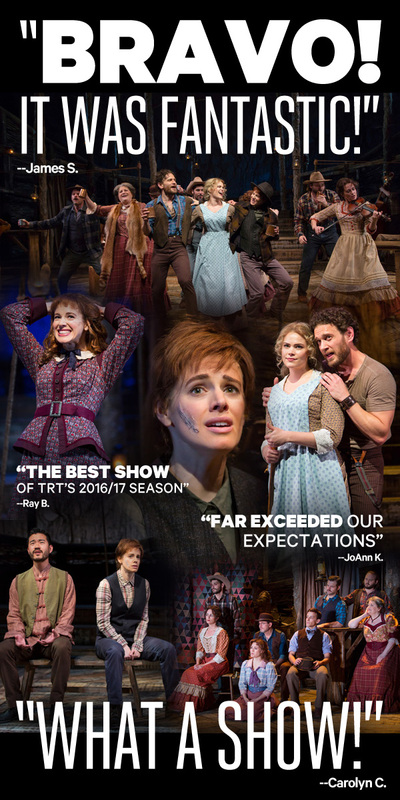 SPECIAL THURSDAY MATINEE PERFORMANCES AVAILABLE! This soaring musical about the American West is inspired by the real-life-story of Josephine Monaghan— a young woman from Boston who, in the late 19th century, made a new life in an Idaho mining town disguised as a man called “Jo.” Writing in The New Yorker, John Lahr called The Ballad of Little Jo, "the real thing—the best piece of musical theater storytelling I've seen in a decade." Tickets range $40 - $70 (prices subject to change). Groups of 10+ save up to 30%! Photos, top to bottom and left to right: The Company; Teal Wicks; Teal Wicks; Daniel K. Isaac & Teal Wicks; The Company; The Company; Jane Bruce & Eric William Morris. All photos by T. Charles Erickson.